My background on this card was stenciled on with ivory brilliance dye ink using the same dies and paper from which I cut out these flowers. (A double bonus with these beautiful ODBD dies). Loving these flowers and they are super easy to make. They are centered with sparkly buttons and sponged with the same ink. For the flower dimension I've pressed a pencil against each petal along the edge folding down and also pressed the centers in. The ODBD curvy edge dies are a lovely addition. I have layered some of those borders for the layered look at the top. These flowers are so pretty and fun to make. These are layered and set side by side along the curvy edge of this beautiful new ODBD border custom die. I have also added the textured, sparkly clear buttons to each of the centers for a little extra bling. Don't forget to ENTER MY MEGA HUGE BLOG CANDY that I'm offering to my lovely Followers. It can be found HERE. Don't miss out on YOUR big chance of winning NEW 2015 Creative Expressions Festive Dies. The colorful birthday card is so pretty. I really like the Pretty Posies die. The wedding card is stunning. The colors are soft and beautiful. The flowers look graceful and the borders from the new Leafy edged borders are wonderful. I like how you layered them at the top. With a wedding card like yours, who needs a gift? The second card is both pretty and funky at the same time. How fun! Love the pretty Pretty Posies card. The first card would make a beautiful wedding card or for any occasion. Girlfriend, you do some amazing things with die cuts....wow!!!! Both of your cards are so gorgeous!!! You do the all-white cards so well...that is a huge challenge for me! Thanks for the inspiration! HUGS! stunning card America you know I love white on white it's so elagant the second card is very beautiful. Oh how I love white cards and this one rocks!!! You have beautiful layers and texture and depth in your work!!! Love the all white crispness and the white with color...Lovely! Very contrasting looks to your cards today. I love the all white one -- so crisp and clean looking. But I think your second card with its bright colorful background is my favorite. Both are beautiful. 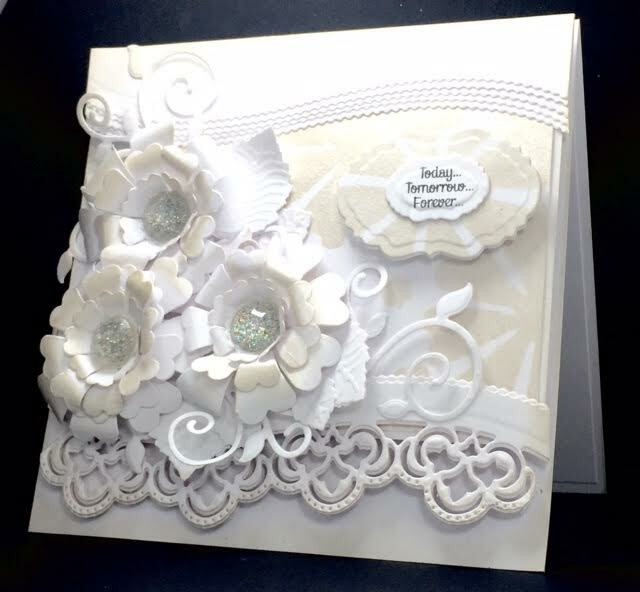 Hi teamie...both cards are just gorgeous....love how you showed off those new dies! Your cards are always so textured and full of dimension. Both of your cards are beautiful, but I just love your all white creation with all the elegance of the first!! Great use of dies!! Beautiful flowers!! Love both of your cards!! The White on white is awesome! Hi America these cards are absolutely stunning I love the dies you have used and the designs are wonderful. Oh America..... your top card just blows me away!!! Love the neutral tones and your amazing layering and texture!!! The second is so fun and full of color! Beautiful work teamie! Love the clean look of your first card with just a touch of ivory! 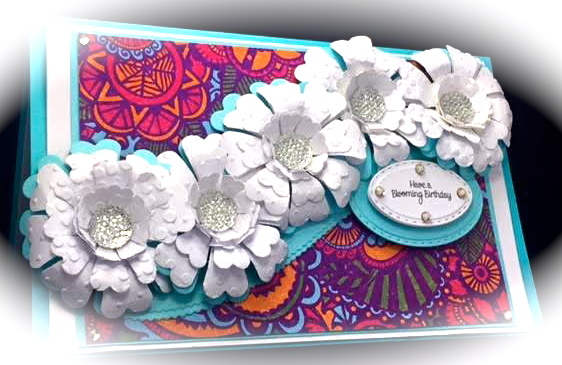 Love the flowers on your second card, the embossing is a great touch! 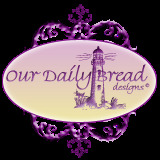 I am having fun being a guest designer for ODBD! Lovely in white and I like the colorful background on the second one. Thanks for sharing your beautiful cards. The first card would be a beautiful wedding card. love the all white. Adds so much. The second card is very interesting. Really like how the flowers follow the contour of the border. The first card is absolutely charming! 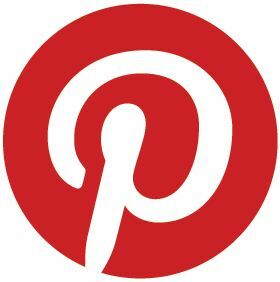 Great inspiration for weddings! Love the added texture on the flowers on the second card! Beautiful artwork! Gorgeous, gorgeous wedding card! Love the bright colors on your second! Gasp..... stunning all white card, wow!!! Both are beautiful... beautiful flowers! I am blown away by both of these cards America! The white and ivory card is stunning!!! These are both beautiful, America! I love the all white one w/ the ivory sponging. Such an elegant look! Hi this is so beutiful! Stunning!! Your second card is absolutely beautiful! Love the bold colors against those white cascading blooms! Thanks for playing along with us over at Seize the Birthday, and hope to see you in the gallery again soon!